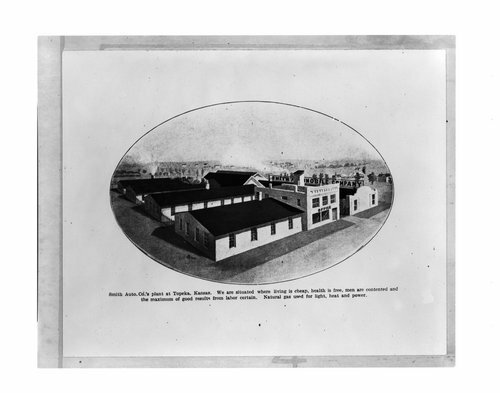 A drawing depicting the Smith Automobile Company factory located at 618 Quincy Street, Topeka, Kansas. This factory was one of four that built automobiles in Kansas during that time. Smith Automobiles closed in 1911 due to financial problems.